Any adult that does not complete the updated Youth Protection Training by September 30, 2018, must complete a new adult registration AND still complete the training. There are a couple ways (shown below) to complete this training. Our recommendation is to complete the training online, but there is an in-person option. At this late date, there is no need to register for the in-person training tonight, just show up. There are several ways to complete the training. The classes are listed below. True youth protection can be achieved only through the focused commitment of everyone in Scouting. 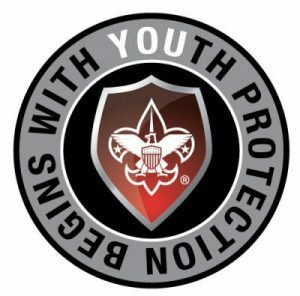 In February of this year, the Boy Scouts of America released a new Youth Protection Training that replaces the all prior Youth Protection Training. This updated training includes three modules and a test that take approximately 90 minutes to complete. This updated youth protection training doesn’t just talk about the dangers of child predators – it shows how they work to gain access to their victims. The Mandatory and Recommended training modules draw on research from experts and survivors in the field of child abuse and maltreatment to identify the contributing factors and threats across the spectrum of child abuse, including: bullying, neglect, exposure to violence, physical and emotional abuse, and child sexual abuse. As we communicated in the August and September District newsletters, the BSA is requiring all volunteers complete the new training by September 30, 2018. Even if they took the previous training prior to the February rollout, it will need to be taken it again. Any adult that does not complete the updated Youth Protection Training by September 30, 2018, must complete a new adult registration AND still complete the training. Each Volunteer should have received an email from National BSA in August reminding them of this requirement. (Volunteers) If you have received this email, you need to complete the updated Youth Protection Training by September 30, 2018. Please note: This list was ran Thursday morning. If you or one of your leaders has recently completed YPT and has a copy of the certification but remains on the list, please let us know. We have seen a few individuals with this occurring and can work with the council to correct with a valid certificate. There are several ways to complete this training. Our recommendation is to complete the training online, but there are in-person options. Online – The YPT training can be completed online at my.scouting.org .Volunteers should be sure to save/ print their YPT certificate at the end of the training.